Coffee with sugar – yes or no? I don’t know about you but I naturally have a sweet tooth; I have sugar on my cereal, love a bar of chocolate and drink my tea with two sugars, so it was natural for me to have sugar in my coffee too. As a barista it’s part of my job to taste the espresso before serving it customers to ensure it tastes as good as we intend it to be. I would happily drink these espressos with no sugar and enjoy the different tastes and aromas that the coffee gave, however, when I got a break in service and made myself a latte, I always found myself adding two sugars. I started to ask myself why I do this and why so many people have their sugar sachets opened and ready before their coffee has even been made yet, let alone tasted it? Being a full time and very dedicated event barista, I like to think that I can make a decent latte, retaining the natural sweetness of both the coffee and milk to ensure that its ready to drink without any real need for extra supplements. If the espresso is extracted correctly and the milk is steamed to the optimal temperature (it gets sweeter) and silky texture then the end product will be naturally sweet and very tasty. Sugar in coffee isn’t necessarily bad; it can be used to enhance flavour, add variety and an extra sweetness to the coffee in the same way it is used with almost every food and drink going. Similarly to the way that a chef will use salt and pepper to season food and bring out certain flavours, sugar can be used to develop the taste of coffee and draw out some natural flavours and make it more akin to your own taste. Surely, most of us taste our food before adding salt and pepper though, right? I think the reason most people add sugar to their coffee before trying it is because they have a firm recognition of what coffee should taste like based on what they have drank in the past; often strong and leaning more to the bitter end of the spectrum. 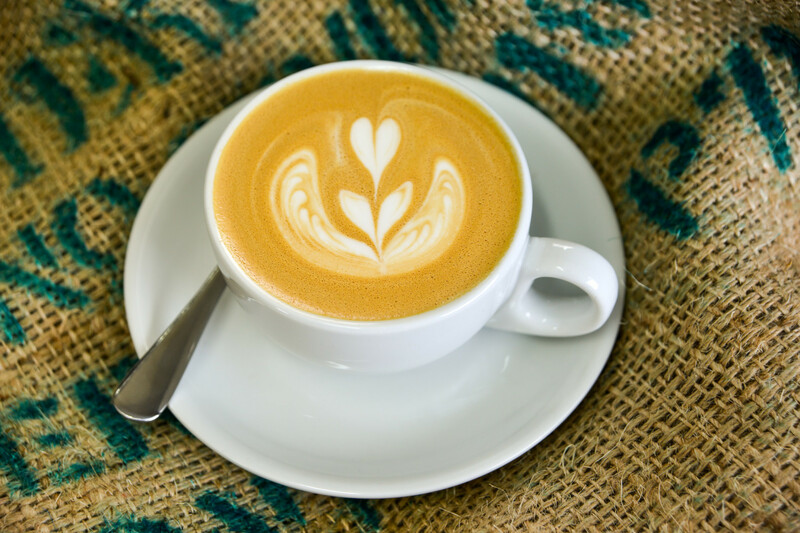 Many of the coffees served on the high street, and at corporate events for that matter, is often lower-grade coffee, lacking aroma and flavour and is perhaps not prepared and served as well as it could be. There are many aspects of the coffee making process that affect the taste of your coffee right from the bean selection, the coffee to water brewing ratio, how long the coffee is extracted for and how clean the coffee machine is. I could go on about all of these factors and many more but it would result in a very lengthy post! Many people are not aware that the specific beans and the way they are prepared can hugely affect the coffee in the cup which I am and so for me it was literally just a force of habit. In the same way that people have a habit of adding sugar to their drink because they expect it to taste a certain way, I found myself doing it because for so many years I had my tea with two sugars, so why would coffee be any different? It was perhaps a narrow-minded approach but it worked to the point that it initially got me drinking coffee and now enjoying coffee and the different varieties. Nowadays, I always make sure I try my coffee first before I add any sugar. I like to know that I’m using the sugar to enhance and add to the flavour and make sure that I enjoy the drink fully, rather than using sugar to cover up a nasty taste or to reduce bitterness. Some baristas are of the opinion that a good coffee will never need sugar. For me personally, I would rather you enjoy the coffee and if that is with sugar or without, it is completely up to you. However, I would encourage you to always try your coffee without sugar first. There are so many varieties of coffee and different ways of brewing it that every coffee will taste different from each different outlet and probably each barista. I read the other day that the U.K is fast becoming a leader in high quality artisan coffee, so why not break away from the big brands and search your local town or city for cafes that are striving to offer the best possible product? You might just find that the quality of the coffee and attention to how it is prepared by the barista makes you realise you don’t always need that spoonful of sugar and your heart may thank you further down the line too!